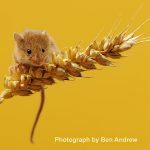 Join us for our brief AGM at 7pm followed by a talk entitled ‘The Harvest Mouse around Selborne –in search of an iconic farmland species’. There will also be a display showing some of the local wildlife seen in Froyle and an update of this year’s events. All welcome and drinks and nibbles will be available during the evening. The talk will start at 7.30pm and Froyle Village Hall doors open from 6:30pm, entrance fee £2 members £3 non members, raffle, refreshments available. Background about the talk: In 2014 the Game and Wildlife Conservation Trust (GWCT) arranged an initial meeting in Selborne with a small group of key stakeholders, in order to discuss the creation of a farmer cluster. Soon this initiative incorporated other local stakeholders and the group was named the “Selborne Landscape Partnership”. 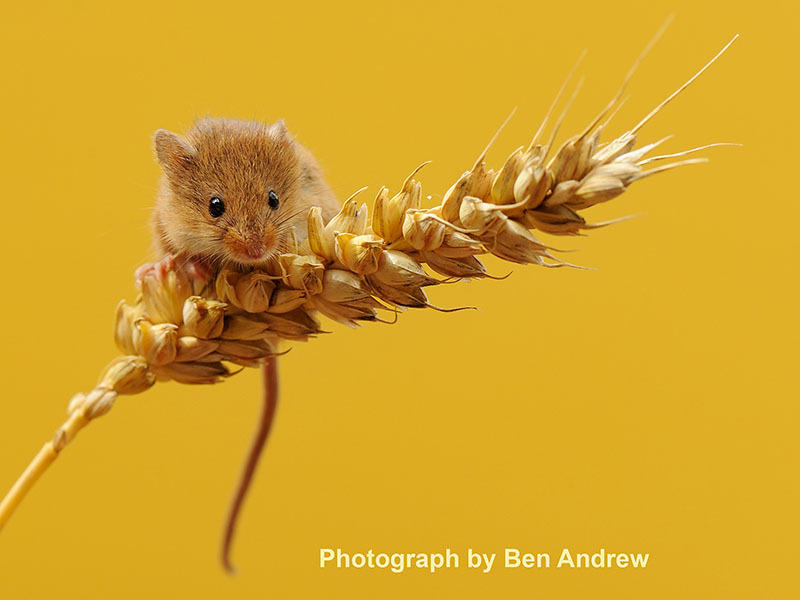 The Harvest Mouse (Micromys minutus, Pallas 1771) Monitoring Initiative is one of the first outcomes of this partnership, which involves local farmers, the South Downs National Park, the GWCT, the Wildlife Trust, volunteers and others. Before the survey began, only one old record (1999) was known in the Hampshire records centre. 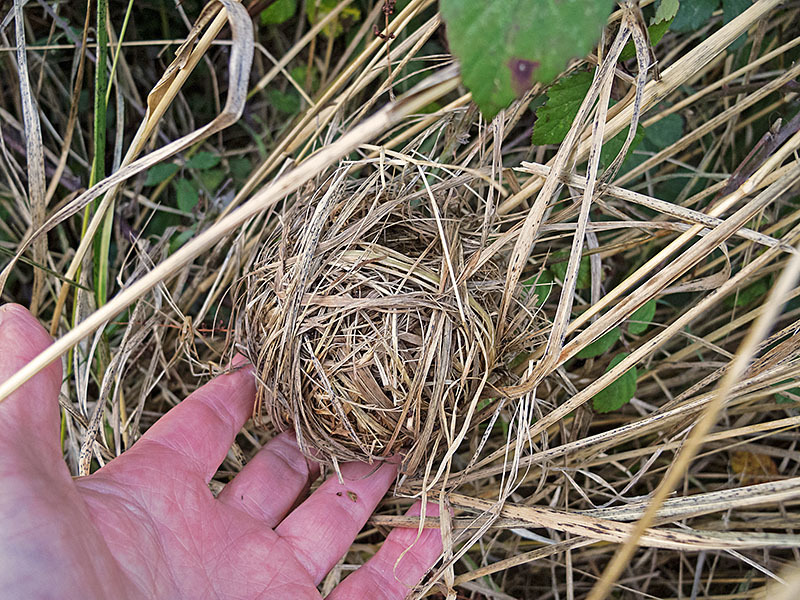 Since 2014, 28 squares of the 91 square-km around Selborne have been surveyed and over 400 Harvest Mouse nests have been found. The aim is to survey the majority of squares and to continue to collect habitat data that is suitable for publication and the creation of improved habitat management plans for the better conservation of the Harvest Mouse, which started its scientific beginnings with its first description by Gilbert White in Selborne. 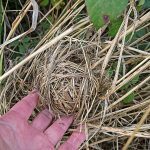 The nests of Harvest Mouse have also been found in Froyle in November 2016 along grassy field margins between the hedgerow and crop. Update after the talk: Zoologist Dr Francesca Pella gave an enthusiastic talk about her work on Harvest Mice in Selborne. 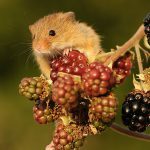 First recorded by Gilbert White in 1767, the good news is that 11 local farmers around Selborne covering 10,000 acres are now working to improve habitats for key species including the harvest mouse. 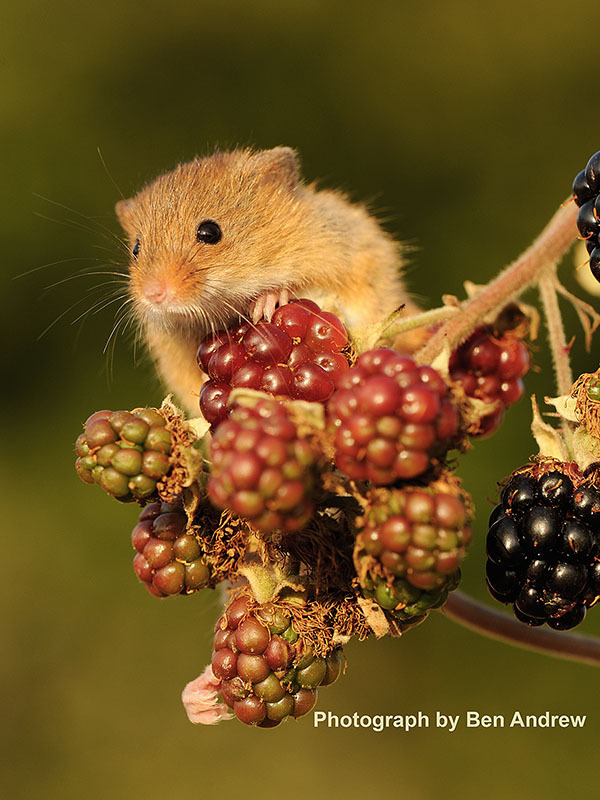 The concern is that harvest mice numbers are declining nationally and the species is considered rare. Fortunately in the recent Selborne study over 400 nests were recorded in the two years 2014/5. Their latin name is micromys minutus, or ‘smallest mouse’, which is apt as it is the smallest rodent in Europe, with a head and body length of 5-8cm and typically weighing 4-6g. It is the only British mammal to have a prehensile tail able to grasp plant stems as they move through long vegetation. They have a reddish-brown coat, a white underside, short hairy ears and a much blunter nose than other mice. They are active day and night and they do not hibernate, but spend much of the Winter underground to keep warm and dry. Despite this Winter mortality is thought to be as high as 90%. Their life span is typically 6 months, the oldest having been recorded at 18 months. Their range is about 400sq m and the adults are seldom seen. Harvest mice appear to be residents of Froyle. In a small survey last year 9 harvest mouse nests were found in one area, and 15 in another. This does not necessarily suggest a sizeable population as a single mouse can create 4 or 5 ‘resting’ nests.